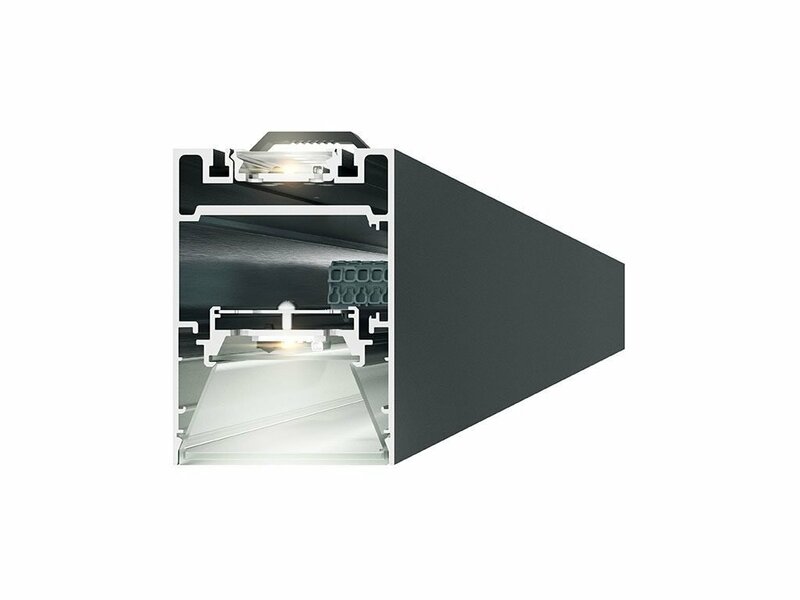 The 7 mm high cover emphasizes not only the nice proportions but also ensures a gentle lateral light distribution. 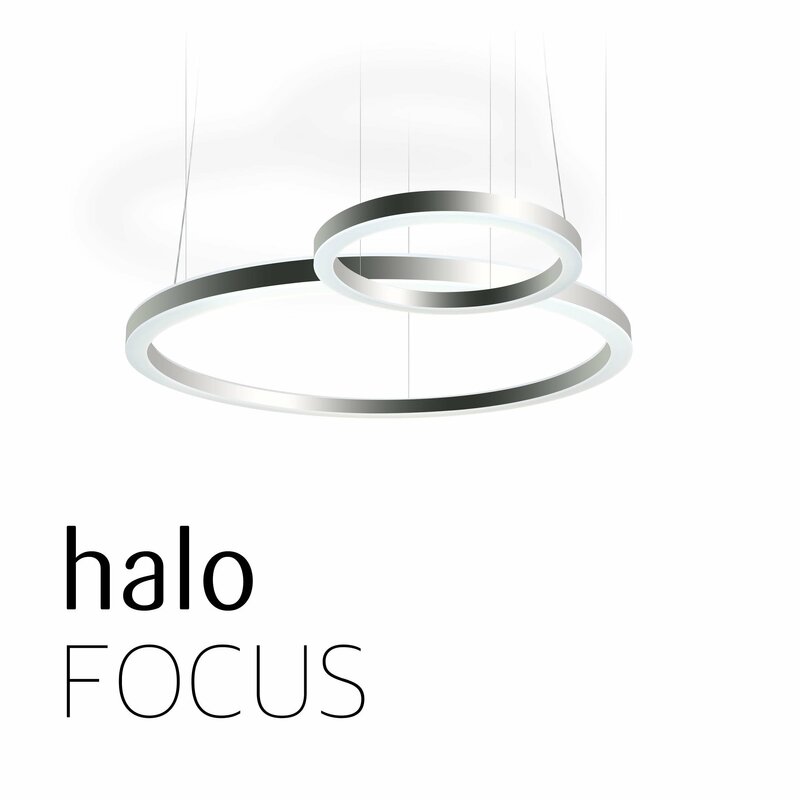 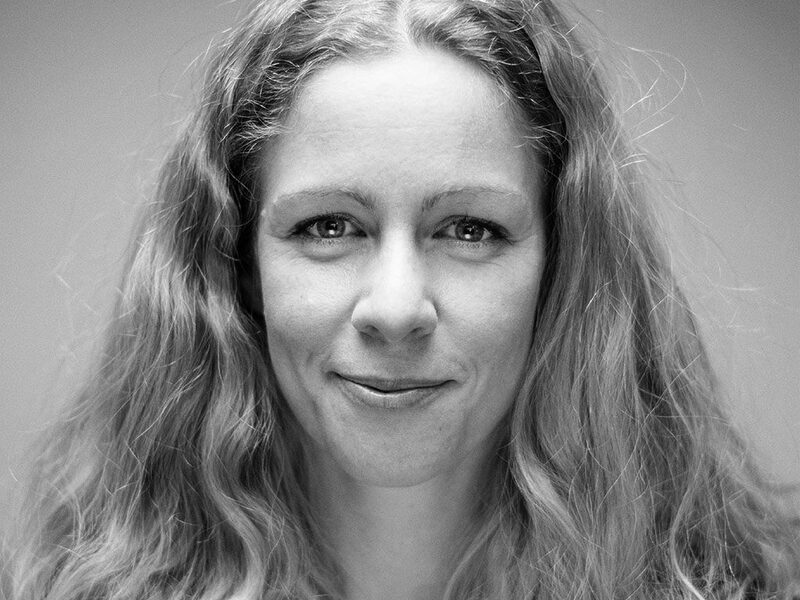 In 2015 halo won the German Design Award. 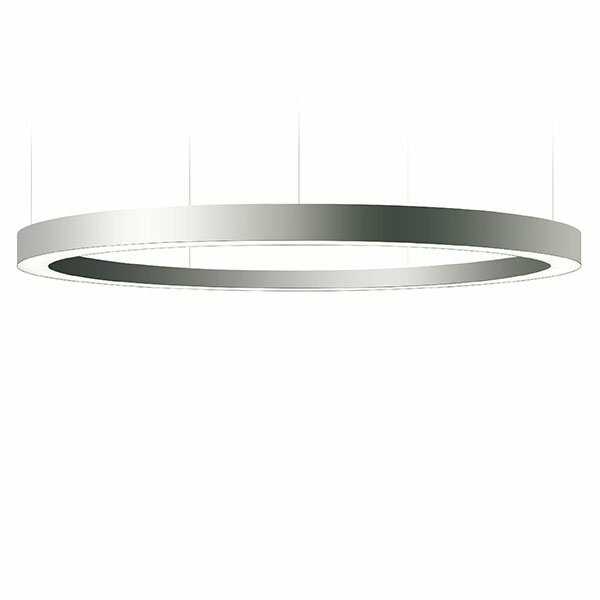 Available as pendant luminaire direct/indirect or direct only resp. 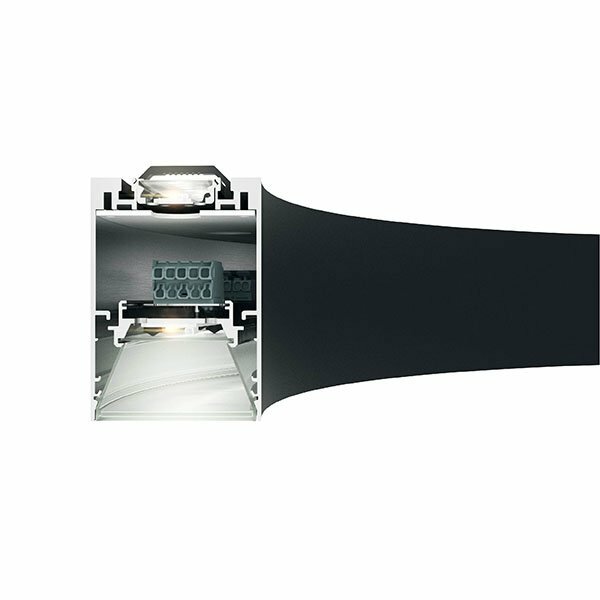 as surface mount fitting. 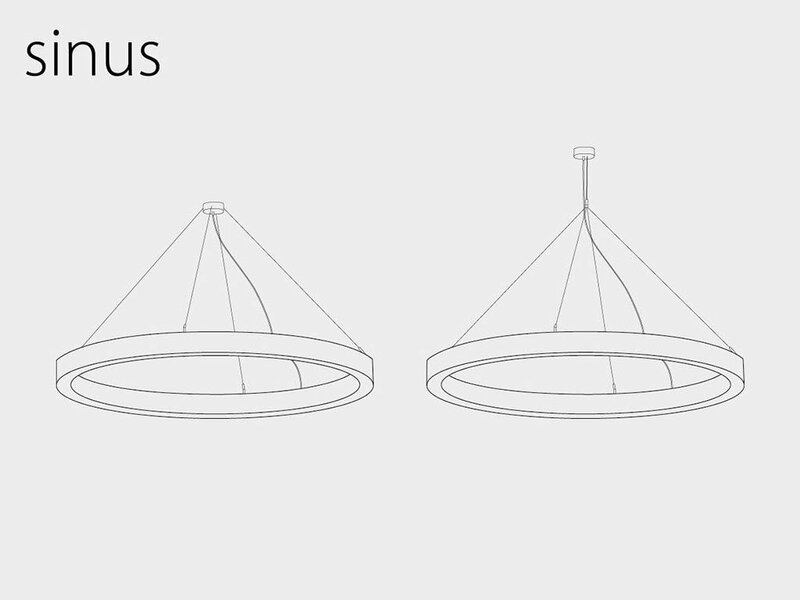 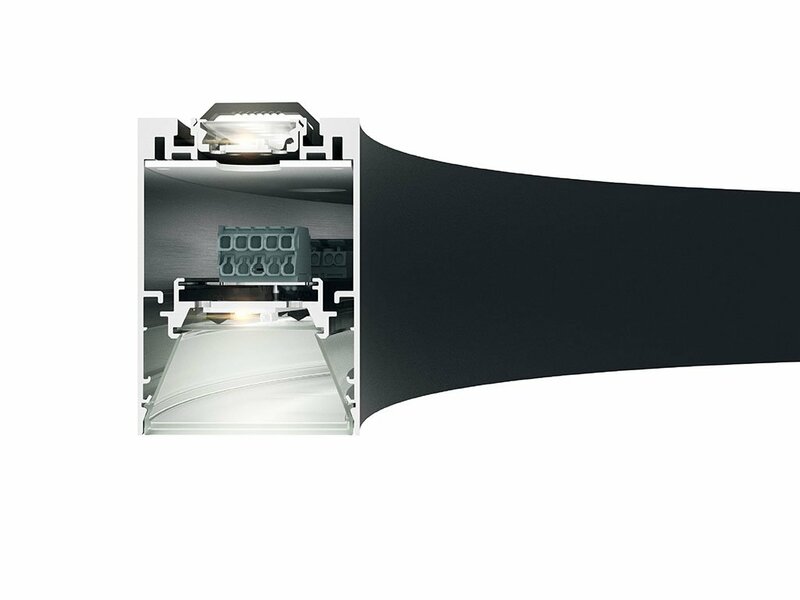 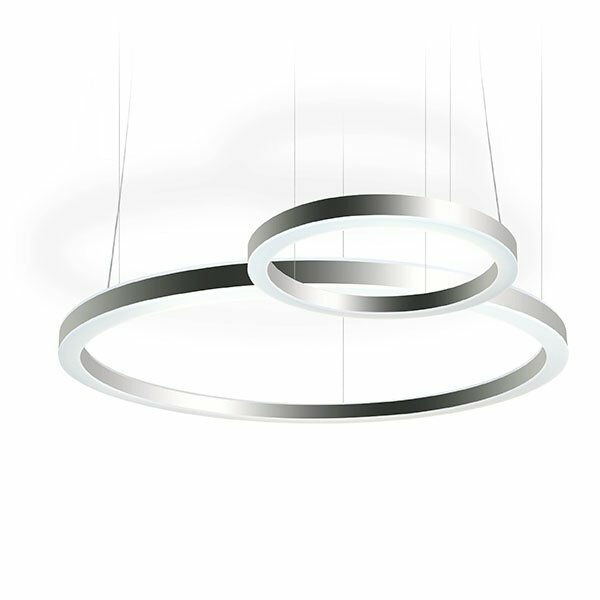 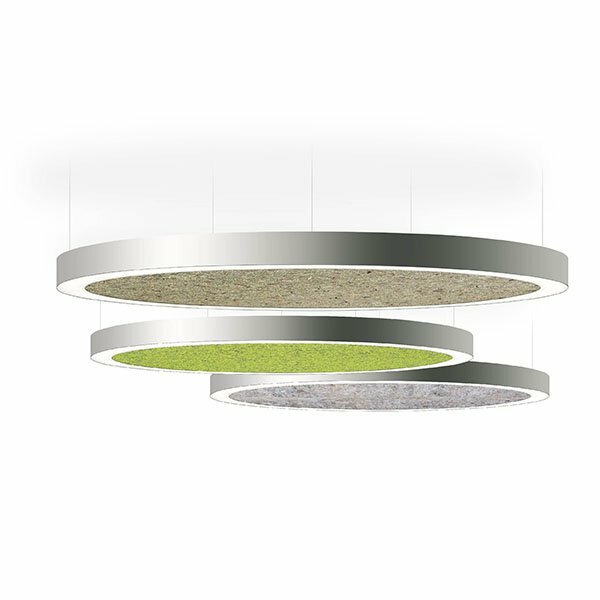 Optionally available in white or silver, 3000K or 4000K, pendant luminaire suspended straight or with central canopy. 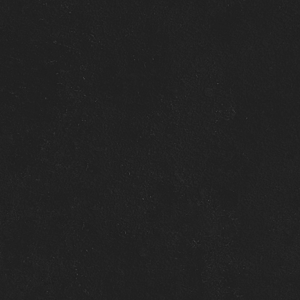 Oh and, yes: the pendant luminaire is also available as dynamic white version. 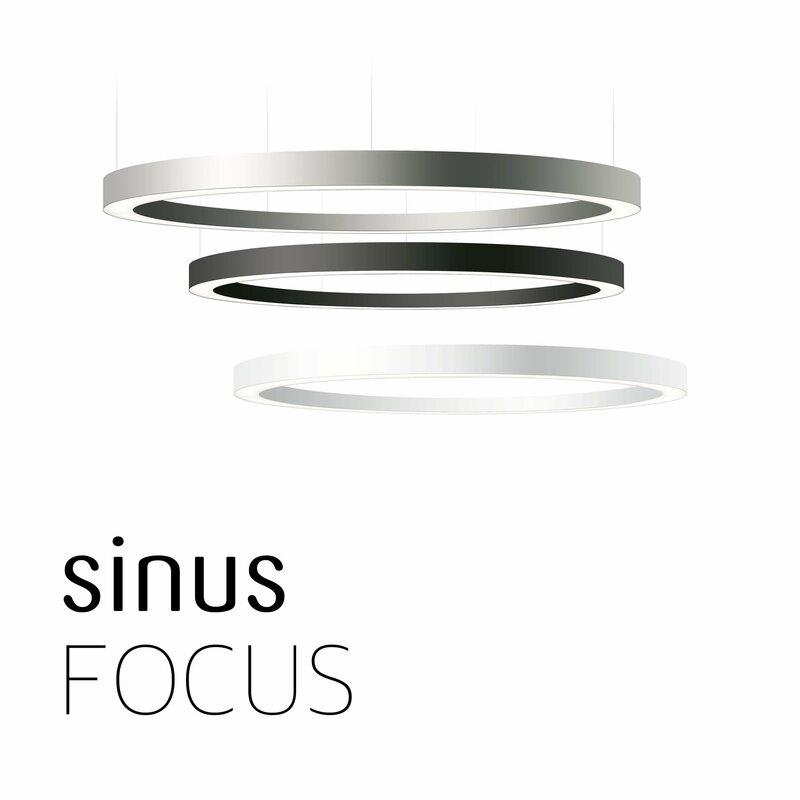 The ring luminaire sinus fits as wax in combination with pure 3. 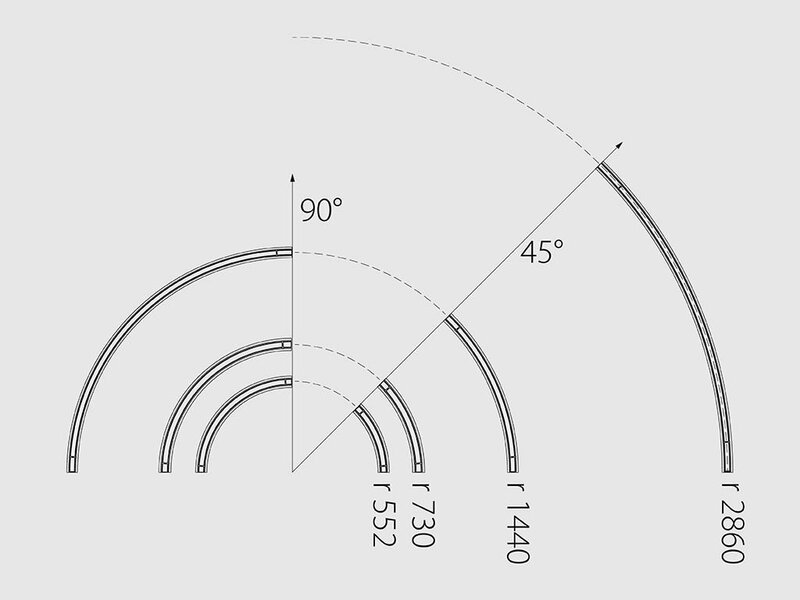 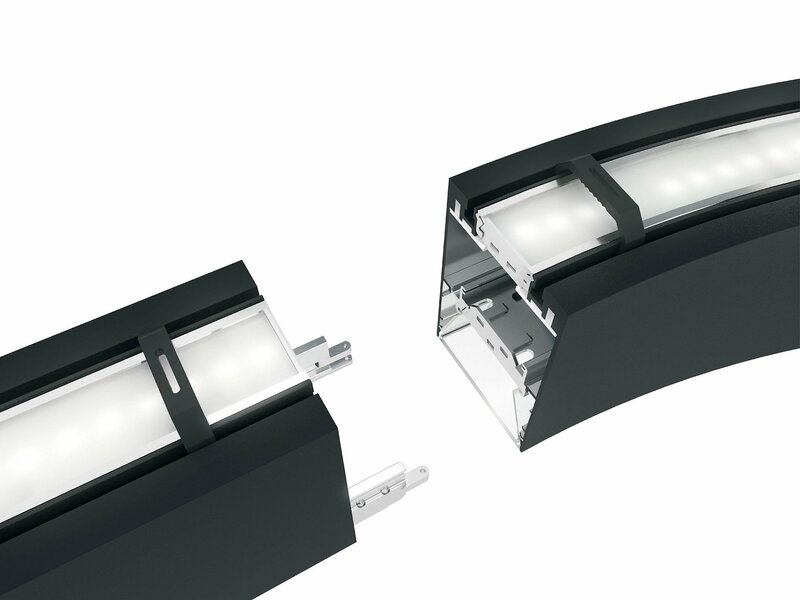 Same cross section (70 x 100 mm), same light distribution (direct or direct/indirect), same mountings (pendant, surface mount, recessed), same luminous flux, same light colours (3000K, 4000K, dynamic white). 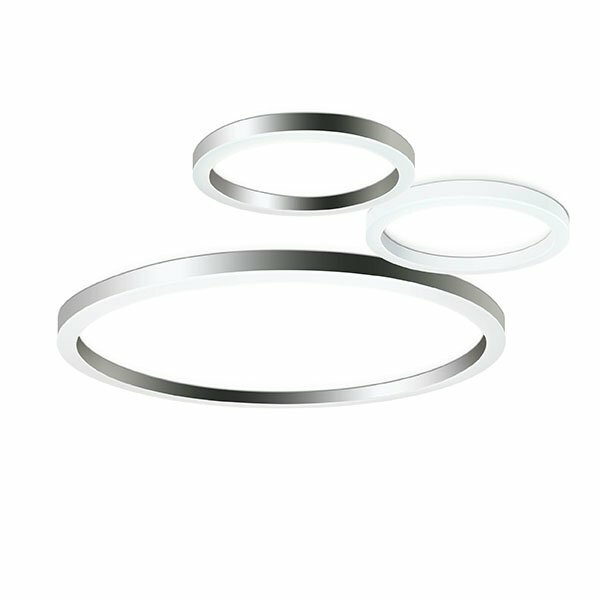 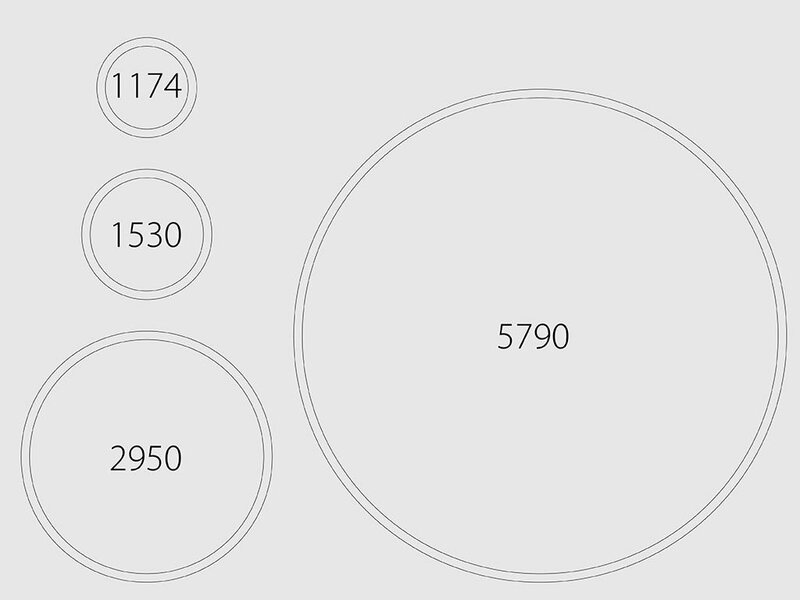 The two smaller rings (1174 & 1530 mm) are made from one piece, the two larger ones (2950 & 5790 mm) are composed of segments. 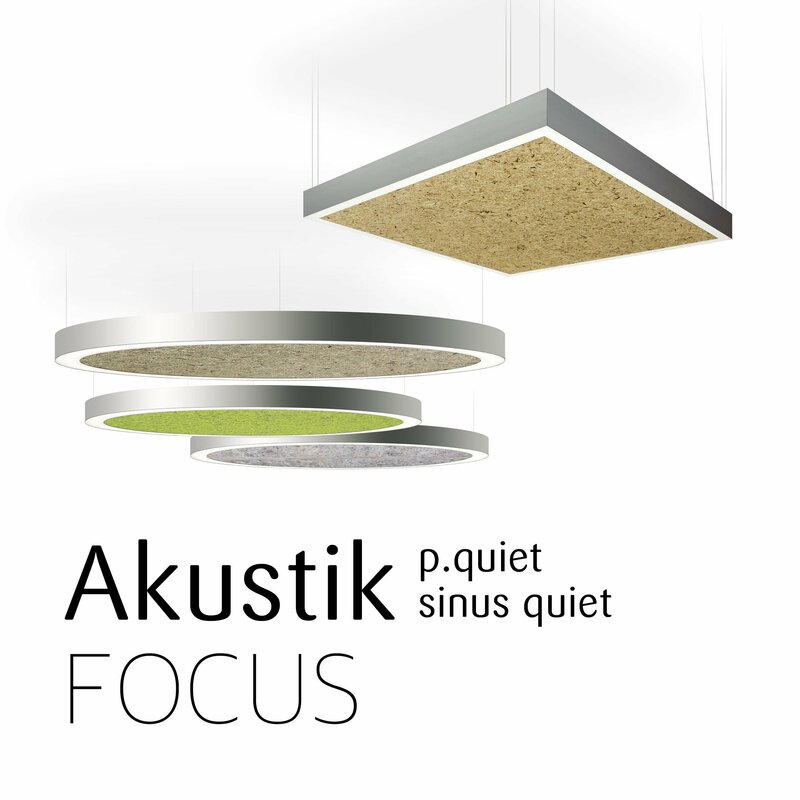 And also important: the two smaller rings are also available with our genuine ancient Tyrolean acoustic modules as sinus quiet.